Did you know that the bean bag chair was created in 1969 in an effort to appeal to the flower power generation? From that point on, it became a cultural icon, used by people of all ages, genders, and cultural backgrounds. While you may think of bean bags as novelties, they’re comfortable and supportive pieces of furniture that can be used to help you relax, work, sleep, and have a good time. In fact, there are a number of health benefits associated with bean bags. Are you interested in taking advantage of a bean bag chair? Trying to get an idea as to what’s available to you out there? Read on to understand the different types of bean bag chairs! The fact of the matter is that there are all types of bean bag chairs available on the market today. However, most of these chairs can comfortably fit into one of the five categories reviewed below. Round bean chairs are exactly what they sound like they would be: circular chairs which, when spread out, look like a ball. By far the most common type of bean bag chairs, round chairs are used just about everywhere — from living rooms to bedrooms, to entertainment rooms, and more. These chairs don’t provide a great deal of support for the back or arms, but they are more than capable of getting the job done. They are still exceedingly comfortable. Aptly named, square bean bag chairs are shaped similarly to squares. These chairs possess a look similar to a living room recliner, complete with backrests and armrests. Most of the time, square bean chairs are used by adults. This is because they provide a level of support which is usually not needed by children but often needed by grown individuals. Gaming chairs are high-end bean bag chairs which are most typically used by avid video gamers. These chairs are structured a lot like computer chairs, offering top-notch comfort and support for the back, neck, and arms. In some cases, a gaming bean bag chair will be equipped with speakers. These speakers can sync up with your TV or computer, allowing you to obtain high-definition sound from where you’re sitting. While most bean chairs are meant to be sat on, some are designed in a way which allows for you to lay on them. Generally, chairs of this type are very long, and can also allow for the seating of several individuals at once. Note, however, that there is a difference between a body bean bag and an oversized bean bag. Oversized bean bags tend to be huge versions of round bags. Body bean bags are more rectangular in their shape. In addition to the chairs reviewed above, there are also novelty chairs available to you. These chairs are primarily designed for kids in a way that they take the shape of an existing item. For instance, you may see a bean bag chair that’s shaped like an aeroplane, or a turtle, or a football. These chairs can be just as comfortable as other types of chairs but are treasured more for their aesthetic properties than for their comfort capabilities. Bean bag chairs come in a range of different sizes. Regardless of how big you are, there is a beanbag out there that will accommodate you. Many bean bags are designed to meet the needs of children. Unless you are a very small adult, they will not accommodate you. Generally, these chairs measure between 110 inches and 120 inches in circumference and are too small for anyone above four and a half feet tall. There are also bean bags designed specifically for young teens. These bean bags generally measure in between 130 inches and 140 inches in circumference. For the most part, they won’t accommodate anyone taller than about 5’2″ or 5’3″. For older teens and adults, you should buy a bean bag between 140 inches and 150 inches in circumference. Bags of this size are meant to accommodate individuals up to 6 feet in height. If you’re a bit taller than this, you might still be able to get away with using an adult bean bag chair. If you’re a very large individual, or if you’re just a fan of massive bean bags, there are oversized models available to you. These bean bags start at 180 inches in circumference and go about as large as you could ever hope to go. They are perfect for taller individuals or groups of people who all want to sit on one bag. Many bean bags are filled with shredded polyurethane foam. This is the type of stuffing that you’ll find in most couch and recliner cushions. It’s not exceptional by any means, but it will get the job done. Most typically, you’ll find this type of stuffing in bean bags which possess the appearance of chairs. It’s much firmer than other types of bean bag stuffing. Most round bean bags are filled with a substance known as polystyrene. This substance presents itself in bean bags as tiny, shifting beads. These beads enclose your body when you sit down upon them, providing top-notch comfort and support. Many high-end bean bags will contain a stuffing known as polypropylene. Like polystyrene, this substance presents itself in bean bags as tiny beads. However, polypropylene beads behave differently than polystyrene beads. Polypropylene beads are actually capable of contracting, expanding, collapsing when you sit on them and rising when you take pressure off of them. This is might be the most comfortable type of stuffing there is. Searching for Bean Bag Chairs? If you’re reading this guide, chances are you’re looking for a bean bag chair. If so, you’re in the right place. 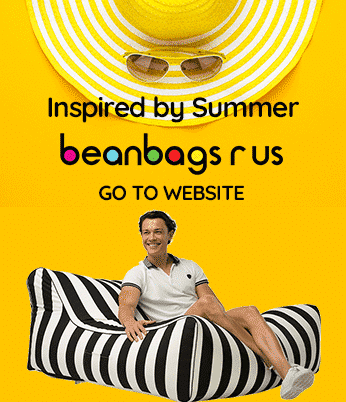 Bean Bags R Us has a huge selection of bean bag chairs for you to choose from. Whether you’re looking for a bean bag for a child, a teen, or an adult, we have you covered. We have bags to accommodate a number of different uses. Check out our selection of bags now!